It's been a while since the launch of Miramar, and yet it is still one of the most played maps in PlayerUnknown's Battlegrounds. 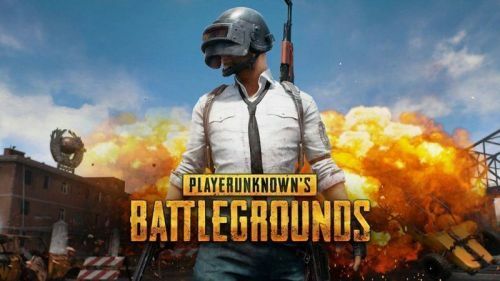 PUBG Map Miramar is an 8 km X 8 km desert-themed map, which was released as the second offering in PUBG after Erangel. The unique terrain, which involves a lack of decent cover other than buildings, offers interesting scenarios as players need to plan ahead and aim for buildings or high ground to have any chance at claiming Chicken Dinners. One of the places dotted near the centre of the map is the city of San Martin, which is often claimed as one of the hot spots of the map, and is something players choose to avoid early on. However, despite being a hot spot, it is an ideal place drop, especially in solo matches as players are exposed to decent weapons and armour early game. There is a huge amount of high-level loot available in San Martin, which means that players could stock up during the early stages of the round, allowing them to have a strategic advantage during the latter stages of the round. The loot contains rifles, attachments and armour, which are perfect for a big map like Miramar. The open lands of Miramar offer very less cover, and players need to find refuge in buildings, which are present in the city of San Martin. Furthermore, the two overlooks present at the edges of the city provide good opportunities for people with snipers and DMRs. Being near the centre of the map, San Martin allows players to quickly move to any direction towards the next safe zone, and with any luck, players might need to travel less than others who choose to drop near the edge of the map. It is right next to Hacienda del Patrón, which has tonnes of military grade weapons and armour. Landing in San Martin, stocking up with weapons and armour and then entering Hacienda del Patrón could be a wise strategy, as it allows players to enter a hot spot with enough weaponry. Also, with a good number of vehicles present, it is easy to travel to the rest of the map once a player has packed enough gear. PUBG Mobile is available for iOS and Android devices. One could also play PlayerUnknown's Battlegrounds on PlayStation 4, Xbox One and Microsoft Windows.